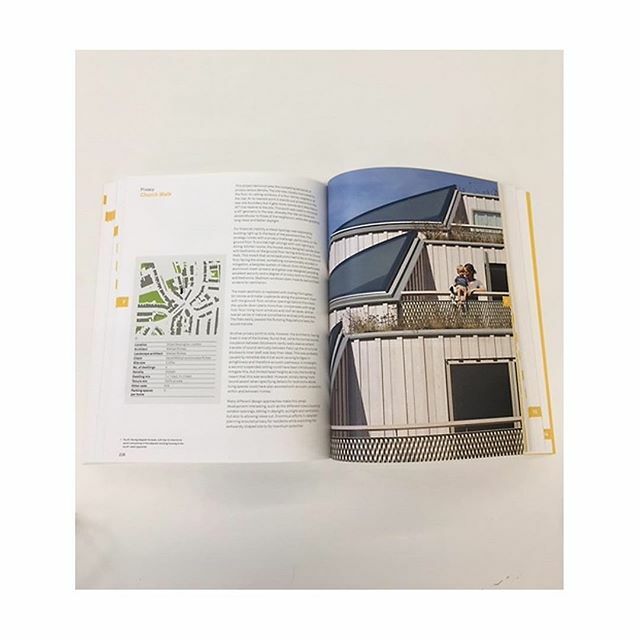 Enjoying a look through our copy of the new edition Housing Design Handbook – by David Levitt and Jo McCafferty, with contributions from leading practitioners, including our own David Mikhail. As well as David’s chapter on privacy, our projects at Church Walk and Goldsmith Street are amongst the case studies included from all over the UK and Europe. 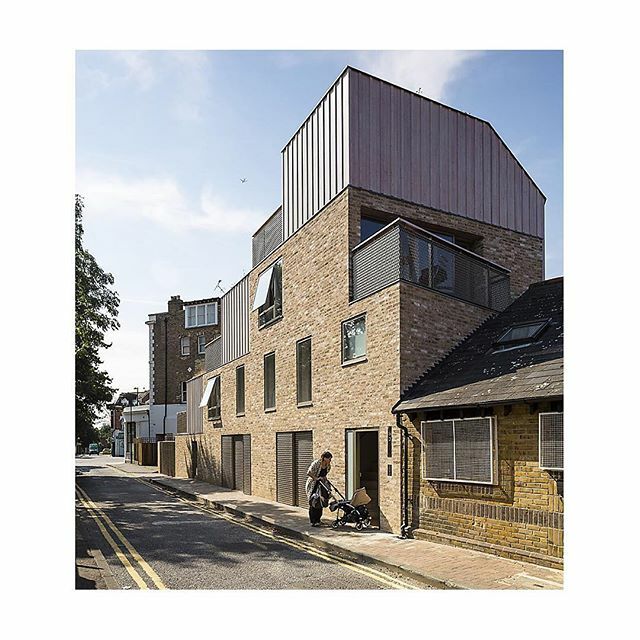 Thrilled to be part of what is an important contribution to the conversation on housing. .
Sunday #throwback to a previous project – East London House. A Grade II listed home. 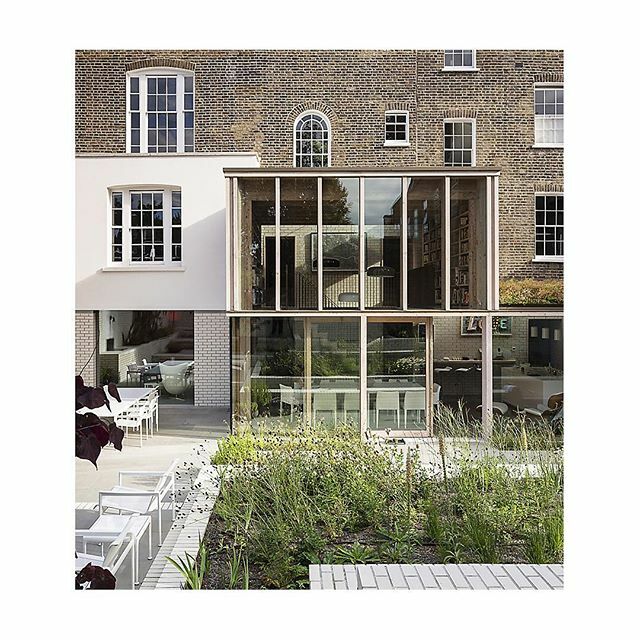 The building had, through time, become three separate flats – we reconnected these into a single dwelling and 21stC family home, whilst respecting the building’s significant architectural heritage. . This week saw the launch of the #housingdesignhandbook (second edition) by David Levitt and Jo McCafferty. The book includes contributions from more than twenty industry experts, including our very own David Mikhail. We have a strong focus on housing and we’re thrilled to be part of the conversation about how to provide quality housing. 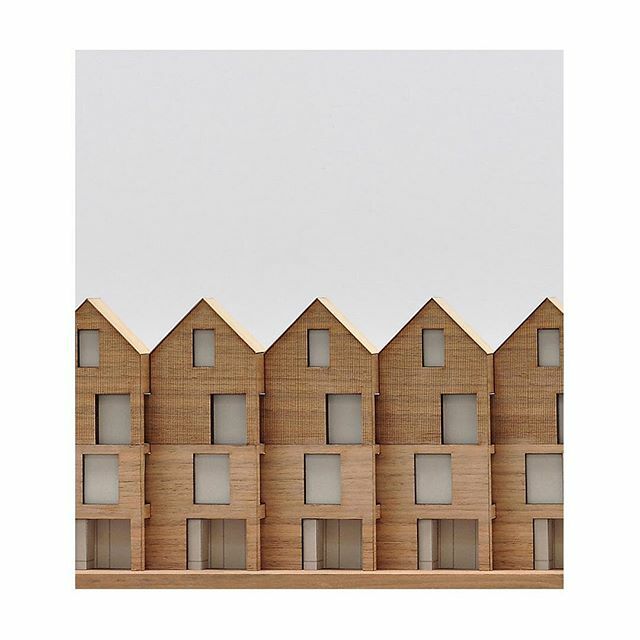 Image: Church Walk, Hackney by Mikhail Riches. .
Sketches and a 1:200 model of our Wimbourne Street project for @hackneycouncil . The project, currently in development, will be a future part of the local authority’s housing supply scheme. Ours is the latest in a series of projects that aim to build much needed homes in the borough. 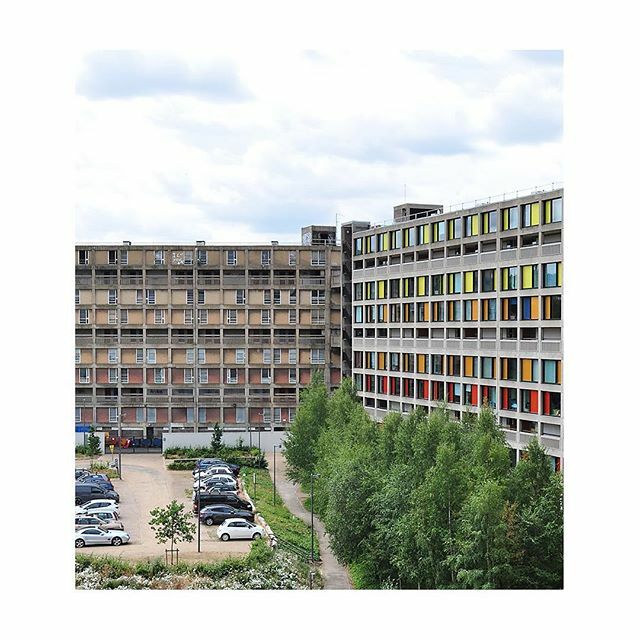 Hackney Council has been highlighted for its work in delivering some of the best new #socialhousing and for simultaneously providing part and private ownership options. Good design, investment in sustainable, quality materials, alongside continuous consultation with residents so that learnings and needs can be applied and met from project to project have, and will continue to underpin the approach. (More in stories). Great news to end the week on. @bxbdevelopment ‘s #croydon smaller sites programme has been #shortlisted in the #Masterplan category for the @architectsjournal awards. Well done to Brick by Brick, @yourcroydon and our colleagues on the collaboration: @commongroundarc @pitmantozerarchitects @htadesignllp @coffeyarchitects @maearchitects @vppr_architects 📷: Our Heathfield Gardens project, #croydonsmallersitesprogramme . Our model of Drummond Road, Croydon. More sunlight but a different perspective. It’s one of several new housing projects in progress across the London Borough for @bxbdevelopment by Mikhail Riches and 7 other architectural practices. (See grid). 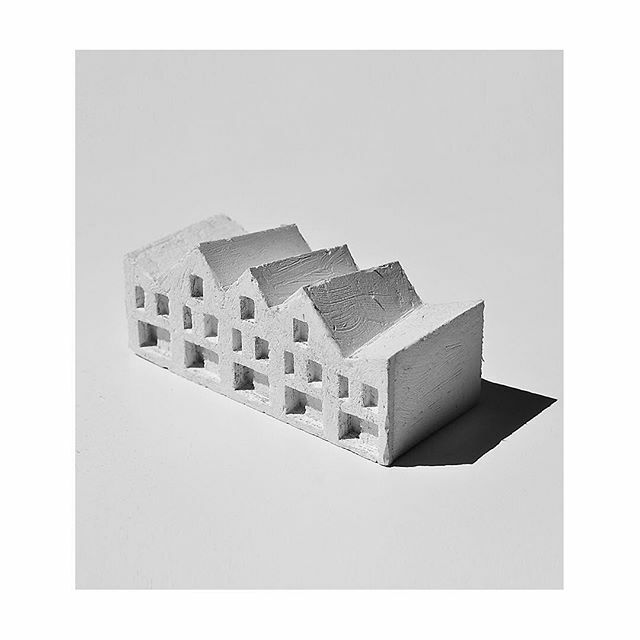 The projects involve a number of disparate sites in council ownership, individually complex each requiring bespoke TLC. .
A plaster model of our West Hendon project. A mix of 15 new, affordable and private dual aspect townhouses, accessed from the north with large south facing private gardens. The design negotiates steep topography on the edge of the Welsh Harp reservoir. The London Borough of Barnet, in partnership with Barratt Metropolitan LLP, are delivering the regeneration of the West Hendon Estate. 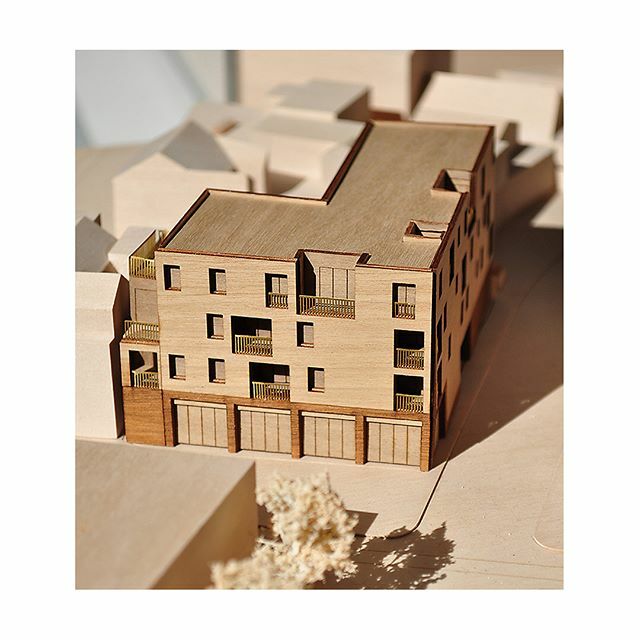 @alliesandmorrison are leading the master plan, with Mikhail Riches and @makowerarchitects taken on to work on areas of phase 4. .
Our 1:250 timber model for Drummond Road, #Croydon bathing in the sunlight. The project includes two x four storey buildings comprising, 28 residential units and a ground floor commercial space in central Croydon. It’s part of the Croydon Smaller Sites Programme for @bxbdevelopment . 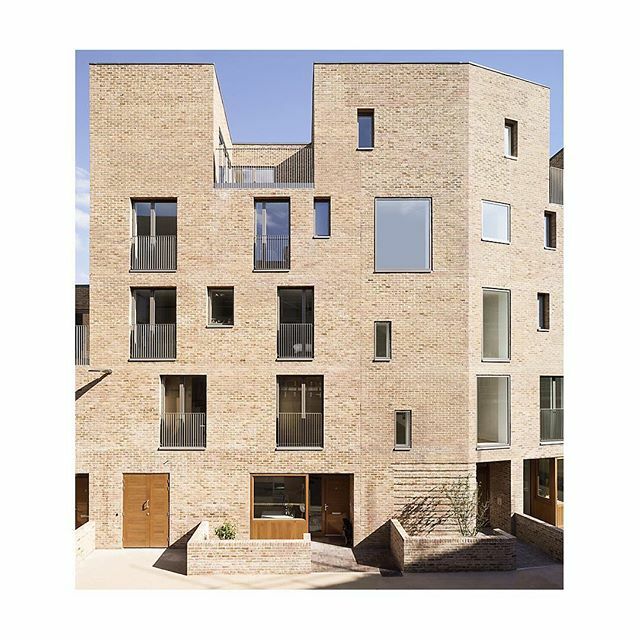 The overall collaboration with Brick by Brick, ourselves at Mikhail Riches and @htadesignllp @commongroundarc @maearchitects @stitch_architects , @pitmantozerarchitects , @coffeyarchitects & @vppr_architects won a housing design award earlier this year. 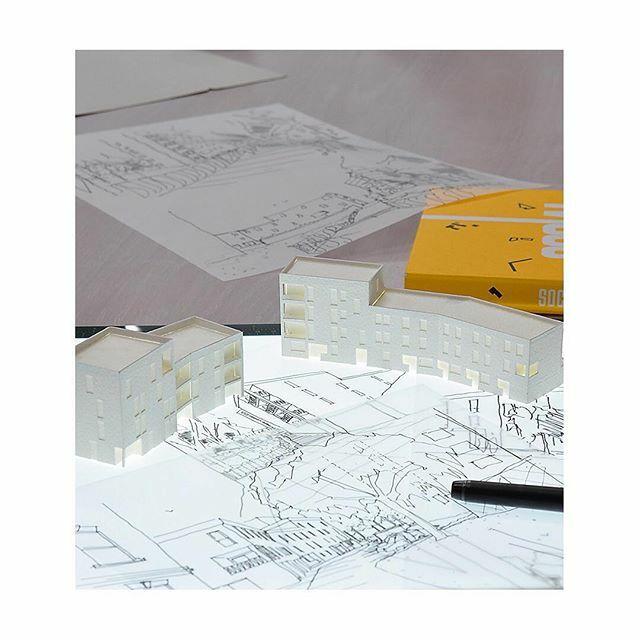 (Swipe for group awards pic courtesy of @htadesignllp ). .
An imagined Mikhail Riches town – a drawing that brings together all our projects from last year. .
Our model for part of the Television Centre (TVC) scheme in White City, London Borough of Hammersmith and Fulham. TVC at Wood Lane is a much loved group of buildings, and at its centre is the Grade II listed Helios building, which housed the studios where much of the BBC TV output was once made. The rest of the site contained a mix of semi industrial buildings, offices, studios and satellite dishes. The developments here are a new chapter for this iconic site. 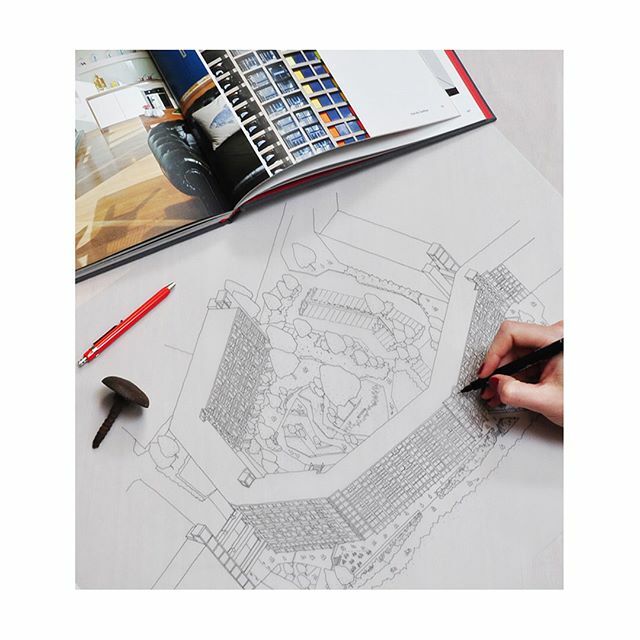 Our design includes 22 new homes – including family townhouses forming two terraces, and a mews house – around a shared central landscaped village green and children’s play space. . 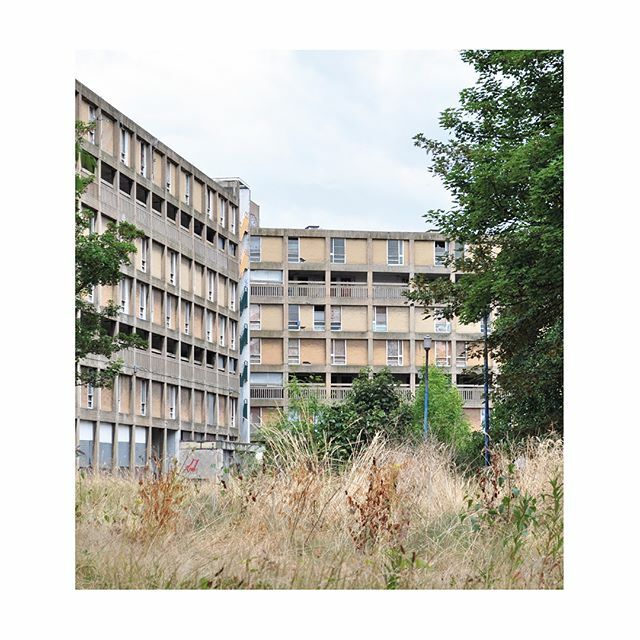 Phase 2 of the Park Hill regeneration will begin later this year. 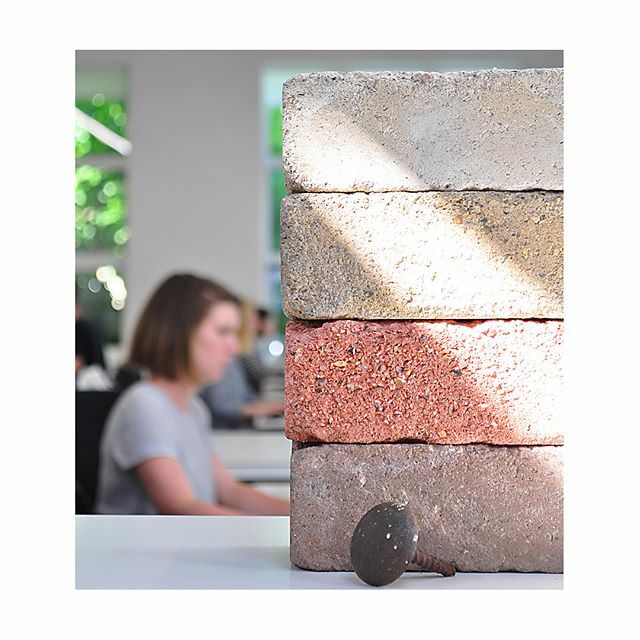 Our selection for the project followed a novel, unique and challenging competition by @weareurbansplash . We were loaned a flat to transform and present our proposals on why they should work with us. We spent much of our time not doing anything to the flat. 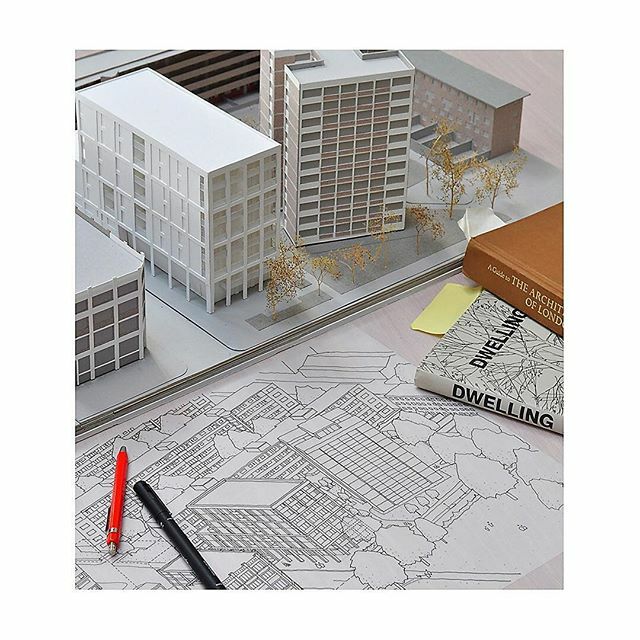 Instead, we got under the skin of Park Hill – meeting the agents selling phase 1, studying plans, reading architecture critiques form the ’60s, completing drawings and making our large 1:20 scale model (see our grid). At the end of the two weeks, and inspired by the graffiti of the local ‘I Love You Bridge’ we spray painted our designs onto the flat walls, even integrating the Winnie the Pooh stickers we found on the walls of the child’s bedroom into our sketches – giving them a new lease of life. 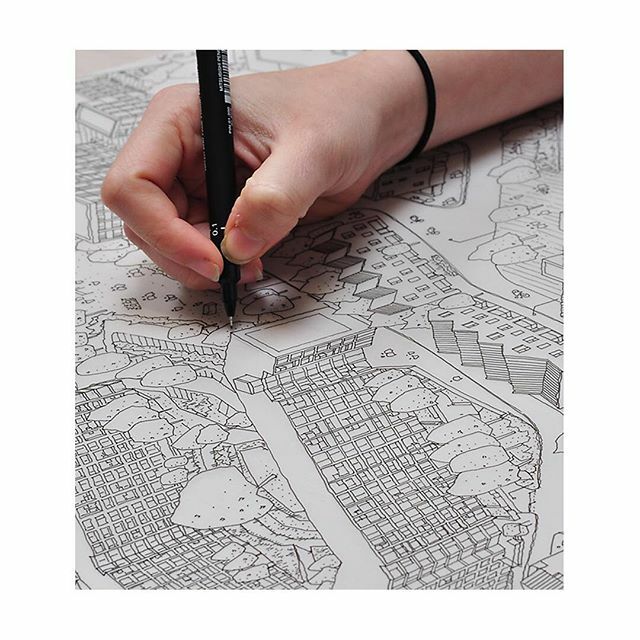 In Park Hill we loved working with what we found. . Earlier this week, work began on our project in #tiverton #devon for #3riversdevelopments . 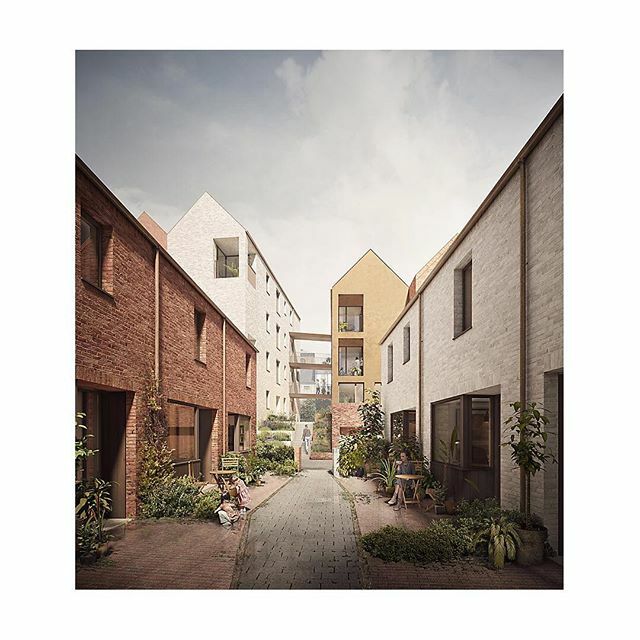 We were the winners of a competition to design housing on a unique and extraordinary site next to the River Exe, which is also overlooked by a series of listed buildings. The project, which went on to win a housing design award earlier this year, is an opportunity to ‘complete’ an important piece of the town with a design that compliments the historic surroundings. (Visualisation: @forbesmassiestudio ) . Development models of our Hermitage Road project – part of the Croydon Smaller Sites programme for @bxbdevelopment – now progressing to detail design stage. .
Pic of our addition to Brentford Lock West – (with Karakusevic Carsen & Duggan Morris Architects). A winner of a #riba #london award in 2017. It has been so good to see further sensitive & elegant development of the waterside come to fruition – with coverage this last week of @maearchitects ‘ completed block – as featured in @architectsjournal . 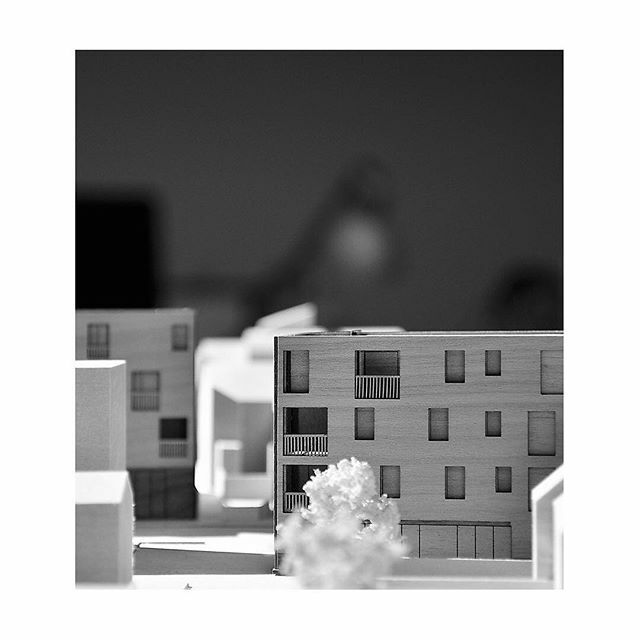 Our model of Heathfield Gardens – a project for @bxbdevelopment . 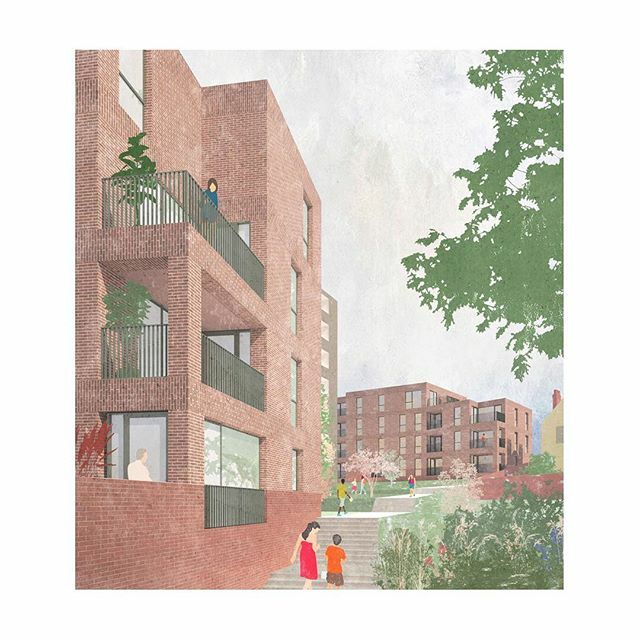 It is part of the Croydon Smaller Sites programme that will deliver 1,000 new homes – both social and private – in the London Borough of Croydon. They’ll be developed on a number of disparate sites that are individually complex, each requiring bespoke TLC. 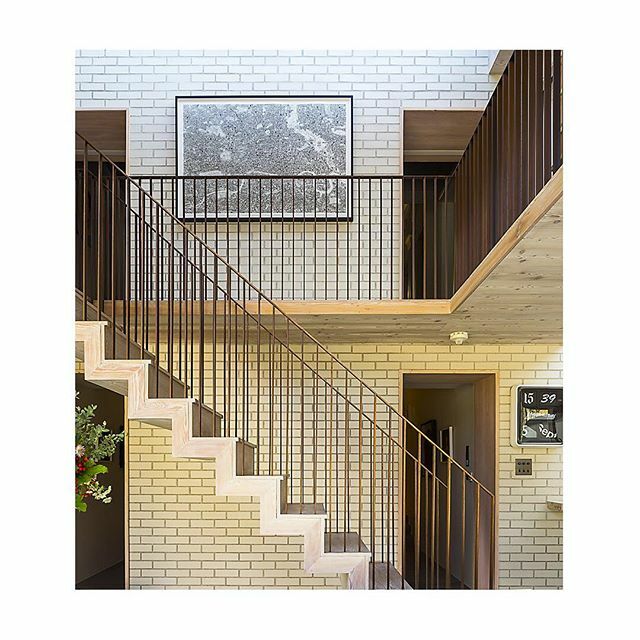 Overall, the programme for Brick by Brick, which involves a collaboration between eight architectural practices – including Mikhail Riches, was a winner at this year’s Housing Design Awards. . 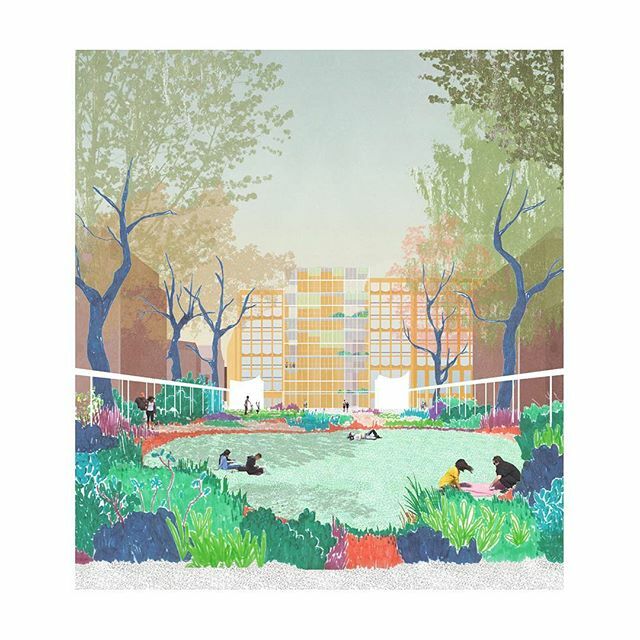 This image, from the project: ‘Inn-Stitution: A 21st Century Inn’ by Katrina Duncan, Mikhail Riches, was recently part of the @lsofarch exhibition in the Blueprint for the Future show in Clerkenwell. 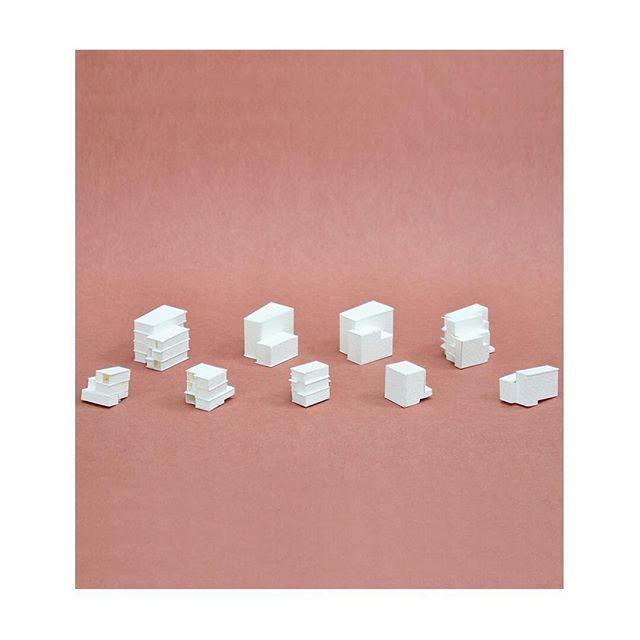 The Inn-Stituion project by Katrina explored a form of shared living in Central London. It draws upon the historic typology of the London Inn to accommodate long term residents and visitors or guests alike. The existing garden square is re-imagined as a focal public space or garden lobby around which a network of courtyards form a neighbourhood of dwellings and local amenities. .
New meets old: a shot from our recent visit to the #parkhillflats #sheffield – ahead of us beginning work on the next phase later in the year.